When it comes to audio hardware, we know it is vital that they have the best of the best to be able to perform their job functions with ease. This is no different when it comes to keyboard controllers. That’s why we have spent the time to review many options in order to recommend the best keyboard controllers for professional and novice producers. After carefully evaluating so many, we found our favorite keyboard controller. If you’re interested as to why that is our favorite and what other keyboard controllers competed for the number one spot, keep reading. The Komplete Kontrol 49 MK2 comes bundled with the Komplete Select software package, has 2 hi res color screens, 49 full-sized keys, the Light Guide, and deep integration with Maschine 2 software. 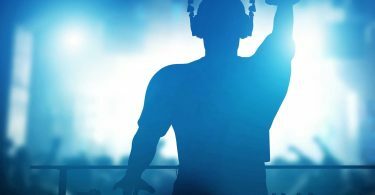 We know how difficult it can be to find the right buying choice that meet your needs in the music industry, especially online. That is why we take the time to carefully review every product before recommending anything to our readers. It is important to us that our readers are satisfied with our recommendations. We want our readers to feel confident in choosing any of our recommendations and feel they truly are good picks for purchase. When we began weeding through the top keyboard controllers for DJs we went through a ton of them. Many did not make the cut for various reasons. However, the keyboard controllers that made it into this article we were satisfied with to share with our readers. We spent hours ensuring that our choices, especially our top choice, were suitable for our DJ readers looking for the best keyboard controllers to assist them in their work. Many producers on a budget enjoy the option of a keyboard controller. They generally cost less than an all out synthesizer workstation. That’s why they are gaining so much popularity today. It is still important to choose one that will meet your needs and isn’t just a cheap fix. That’s why we’re here to help you understand how to choose the best keyboard controller from you. First, most producers have a specific software they are comfortable with using. If you are an avid user of a specific software it will be important that any keyboard controller you consider is compatible with your favorite software. If you’re more adaptable and are willing to try out new software options with your keyboard controller then your choices are more widespread. Beginners have a great advantage as you more than likely don’t have an opinion on software options as of yet. They come available in a wide range of prices and it’s important that you have an idea in mind of what you’re willing to spend. Generally speaking, the higher the cost the more dependable the brand and the more options and features. This isn’t always the case, but it is the norm when it comes to the pricing on keyboard controllers. As you’re looking for the best keyboard controller, remember it’s the best keyboard controller for you. This is generally classified by the features and options the controller has. If you have experience as a producer, you should have an idea in mind of what features you would like to see your new keyboard controller have. Make a mental note of this as you browse. Think about how many keys you would like it to have, sensitivity, knobs, faders, switches, and more. This will give you an idea of what you’re looking for. 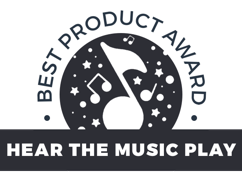 The last thing you may want to think about as you’re on the market for a new keyboard controller is what brands you know are trusted. While a lesser-known brand doesn’t necessarily it won’t be a good keyboard controller, it is up to you to decide what brands you will and won’t consider purchasing. You might know a few other producers or DJs who use specific brands or you may have experience in using a keyboard controller in the past. Either way, it’s up to you to decide what brands may or may not be a good fit for you. There seems to be a lot of debate among DJs as to whether a Keyboard Controller or CDJ is better. While CDJs are most commonly found in clubs, keyboard controllers are also becoming a more common find in DJ booths these days as well. Which is better? We think that’s all a matter of personal preference, but we will tell you our personal opinion and preference and why. The first difference among the two is price. Keyboard controllers are more affordable, which is one reason why we prefer them over CDJs. We understand that musical equipment can be costly no matter how you add it up, but we do try to save our readers a little money by offering more affordable options when they are available. That is why we are recommending keyboard controllers. CDJs tend to have a lot of features and options built in that can be overwhelming as it’s not all necessary. If you’re just looking for control with the use of your software then a keyboard controller is the perfect match for you. You won’t be overwhelmed by having too many options. This is especially important for new DJs. IF you’re just getting started, you won’t want to feel like you don’t even know where to begin with your newly bought DJ equipment. 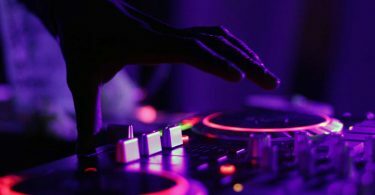 While CDJs do have a place in the DJ world for more experienced DJs, they aren’t a requirement. A keyboard controller can accommodate all of your needs as a DJ and provide you with the control you’re looking for without the hefty price tag attached. CDJs may have been around longer, but keyboard controllers are gaining popularity for a reason. Just when you think Native Instruments are basking in the success of their industry standard product portfolio, BAM! They raise the bar yet again with the release of a new and much improved product, enter the Komplete Kontrol S49 MK2. Users of the original Komplete Kontrol S Series keyboards will immediately notice the new hi-res color screens and the fact that the touch strips on the original have been changed in favor of actual modwheels. There is however, 1 touch strip just below the modwheels so you do still have access to the unusual features it provides such as guitar strumming. There is also the addition of a new four-directional push encoder enabling users to get to key features quickly. Keyboardists will appreciate the semi-weighted action of the keys because of the pro-grade Fatar keybed. The build quality seems to have improved also, whereas the first hardware version had knobs with varying degrees of resistance, the S49 MK2 offers pretty much the same feel on every knob, at least on the unit I tested. Native Instruments’ pioneering precision Light Guide is of course still there. For those not in “the know”, this feature gives visual feedback so the user can see the proper notes of scales, key switches, note locations and key zones. As mentioned in the video above, there are more buttons. The cool thing is that not only do they have different colors, but also different levels of intensity to display their current state. So at a glance, you can see which actions are active, inactive, or which actions are enabled but not active for example. It comes bundled with Komplete Kontrol software that allows you to search for sounds and VSTs from either Native Instruments or third party vendors, directly from the keyboard. Also, there is now deeper integration with several DAWs including Ableton Live, Cubase, Logic, Nuendo and GarageBand. Although it really shines when used within the Native Instruments ecosystem of Maschine 2 and the Komplete bundles. We chose the Komplete Kontrol S49 MK2 as our top pick because of it’s integration, overall features, build quality and the fact that Native Instruments appears to be constantly building professional, future-proof products. Experienced and novice producers alike will definitely benefit from this newly released model. I must admit, I’ve had my eye on this baby for a while now. The Nektar Panorama P4 has actually been out for a few years and yet, still has one of the deepest integration with major DAWs out of the plethora of keyboard controllers currently available on the market. Boasting 16 encoders, 9 45mm faders, 1 100mm motorized APLS fader, 10 LED buttons, 28 buttons, 12 pressure sensitive pads, a 3.5″ color TFT display and a partridge in a pear tree. This gives you control over up to 93 parameters at any one time making it so that you can spend more time creating without having to reach for the mouse. I found the extended 11 button transport bar particularly interesting because while most controllers’ transport area has basic functions for start, stop, record, rewind and fast forward, the P4 goes the extra mile. You can Undo, Cycle on/off to loop a section, return to the beginning or forward to the end of a loop in addition to the normal transport functions. As if that’s not enough, hitting the shift button flips the transport into 11 assignable function buttons you can use to map MIDI commands or QWERTY macro’s and save these in one of the 20 user preset slots. This was a close second to our top pick because of a lack of a bundled software package and having only 1 screen display. But don’t be put off by that, the Nektar Panorama P4 is definitely a heavy-hitter in the world of keyboard controllers in terms of the level of integration with modern DAWs and besides, it’s a lovely piece of eye candy for the studio. Roli, a relatively new hardware/software developer, has been gaining momentum in the industry over the last couple of years with their next generation hardware controllers. The Seaboard RISE 49 like other keyboard controllers in their product line, boasts previously unheard of features that allow for virtually limitless expression. At the heart of this is Roli’s Sensory, Elastic and Adaptive technology, or for short, SEA Technology What this does is it gives the user up to 5 dimensions of touch; strike, glide, slide, press and lift. Every other keyboard you have ever owned in your life, only allowed you to play it one way, by pressing keys and triggering sounds based on your playing velocity. With the Seaboard RISE 49, if you wiggle your finger on a key, you have vibrato. Slide your fingers up on they keys and you can generate swells. Run a finger along the strip just in front of the keys, up or down and the pitch glides. Press the keys using velocity, and you get the effect of breath on a wind instrument. Seriously, there just isn’t a single keyboard controller on the market now with this kind of intuitive control. It’s worth mentioning in case you didn’t watch the video to the end, that you’ll pay a pretty penny for this type of advanced technology. 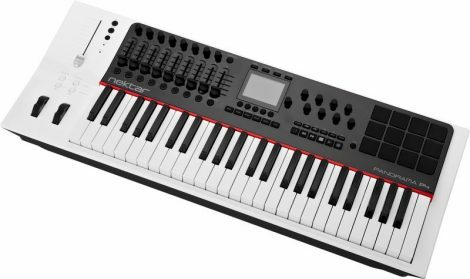 However, there is a Seaboard RISE 25 available which has the same features as this model, but with only 25 keys at a lower price point. I haven’t personally gotten my hands on a unit, but by all accounts, the build quality is superb and the keyboard is definitely worth the investment. It’s also worth noting that the playing technique takes some getting used to. It doesn’t play like a typical keyboard controller with piano-like keys, so you might experience some wrist and finger fatigue until you get used to playing it. We were really pleased with the options of this controller. It has 16 pads, 8knobs, and 9 faders. The pads are RGB and velocity-sensitive laid out in two rows of eight for convenient accessibility. The faders and knobs were so solid and smooth allowing for easier playability. With Ableton being a top software choice, we were very happy that this controller was made with Ableton in mind. This makes it nice to be able to plug-and-play with ease through the integrated Ableton Live. While it is made for Ableton Live, it will work with other major music software using In Control. It has USB connectivity with both Mac and PC. Overall, we found this keyboard controller to have all of the features necessary for both performance and in-studio work as a DJ. This controller is lightweight, which is nice for DJs who have to take the time to setup wherever they go. You won’t struggle carting this keyboard controller around and setup is plug-and-play. There were just a couple of things that made it not rank as our top choice. First, while it does include Ableton Live Lite, Novation Bass Station, and V Station with 4GB of Loopmasters samples, we felt the Native Instruments Komplete Kontrol S49 was a more self contained option with the Komplete 11 package. While this controller does work with Mac and PC, it does not work with iPad unless you use a separate USB dock with its own power source. This seems like a little more hassle, which is why we weren’t too happy with it. You can make it work, but with a little more effort. We were overall very pleased with this keyboard controller and recommend it as it has everything necessary. All of the features, options, and included software are nice for a producer or DJ of any experience level. We reviewed many different keyboard controllers before being able to carefully select 7 that made the cut. We’ll give the pros and cons of each controller to help you see there are options out there for keyboard controllers that are suitable for producers and DJs regardless of experience level. Above all, we were very pleased with the affordability of this keyboard. The functions and options included also help to make this a suitable keyboard in our opinion. The semi-weighted keys make it both convenient and comfortable during use. This controller adapts and functions well to most software currently on the market. It has been tested with Ableton Live, GarageBand, LogicPro, and Mainstage. This controller functioned well with all of the tested software, which is nice when you don’t want to change the software you use. The fader, pitch bend wheel, mod wheel, and knobs all function smoothly and accurately. While we did find a lot we liked about this keyboard controller, we didn’t feel it was a top notch controller with all of the features we would like. The sensitivity was something we felt could definitely be improved upon as there are only three levels and all three seem to be weak. Also, we felt that while it was a lightweight option that it was also very fragile. The weight we felt came from it being made from cheaper plastic, so it’s something you have to be extra careful with to prevent damage. While the keys are said to be semi-weighted, we don’t feel they are. They have very minimal weighting. With only 8 knobs and minimal buttons, we would classify this as a keyboard controller suitable for a beginner. In time, a more suitable controller with more complex controls will more than likely be necessary. To start off and for the cost this isn’t a bad keyboard controller. We really liked that this keyboard includes Ableton Lite and an Eight Eight Ensemble. The software included makes it possible to plug-and-play right out of the box, which is what everyone is looking for. Although it does come with Ableton Live, it worked with other software options like GarageBand as Ableton Live is a PC software and GarageBand is for Mac. The keys are solid and well-weighted. This controller worked with PC, Mac, and iPad. We felt being able to work with all three made it a very convenient option, especially for producers who don’t want to always travel with a bulky laptop. One thing we did find about PC connectivity is that there are still some kinks to be worked out with Windows 10. We are hoping that’s worked out in the future as Windows 10 is newer. The black keys are a bit more sensitive to velocity than the white keys, which makes playing certain sounds and music frustrating when the output comes across as if the black keys are being hammered. Overall, we were satisfied with the quality and functionality of this keyboard controller. Most producers could benefit from choosing this keyboard controller, but we didn’t feel it had all the bells and whistles to be ranked as our top choice. Novation is a top brand, which is why two different Novation models wound up on our list of suitable choices to recommend to our readers. We really liked the semi-weighted feeling of the keys on this controller as they’re just more comfortable. The channel aftertouch of the pads and keys are also a nice feature. The faders and knobs allow for full control over the output as well. While this a heavier and bulkier keyboard controller, that isn’t necessarily a bad thing. The weight of this controller is good for preventing careless damages that may occur with some of the lighter controllers. This controller keyboard is almost made for Ableton as all of the controls were easily mapped and functional with minimal. That’s not to say it won’t work well with other software out there, but how it integrates with Ableton is just very convenient. We did notice it had issues in working with Logic Pro, so that wouldn’t be a recommended software for use with this keyboard controller. We also found that it had stiff finger pressure, which makes it so you have to press much harder on the keys. All in all, we found this Novation model keyboard controller to be a good choice. We found it to be fair in price, especially with how long-lasting this controller should be for most producers and DJs.